Almost everyone pays for brand. But how much would a brand name really add to the base price of a product. A few hundred dollars? How about $10,000? 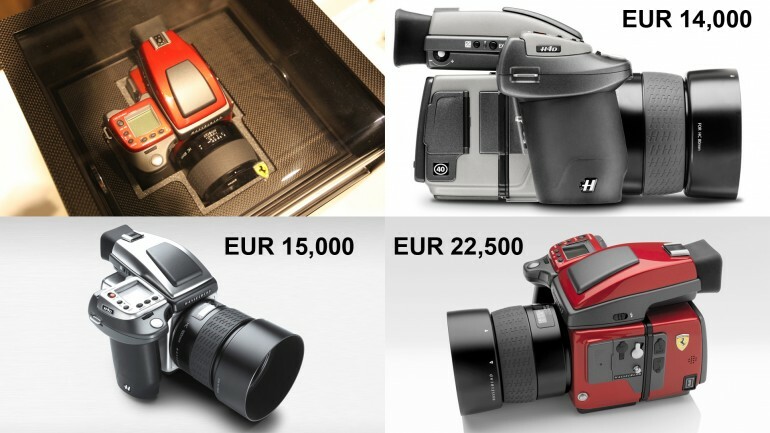 Hasselblad’s latest video camera costs about $18,531 but order the special edition with the Ferrari logo on it and the price is quickly bumped to about $28,531. Hasselblad has a reputation among world’s elite photographers because of its digital SLR functionality with extraordinary imaging quality. The company announced two more similar cameras which for an extra $1324, a limited edition of 100 stainless steel H4Ds are offered. To boost sales, the company has a Ferrari Limited Edition camera with the Ferrari “rosso fuoco” color. 499 units are set to be made which will be sold for $10,000 more than its base price at $28,473.61. Ferrari is one of the world’s best recognized brands and its latest partner Hasselblad’s quality is no less than that of Ferrari. The H4D Ferrari Limited Edition comes in a beautiful carbon fiber display case with a glass top adorned with the same Ferrari Racing Shield at the cost of $10,000 more than the base price of H4D. Previous Anti Sleep Pilot Won’t Let You Sleep When You Are Driving!